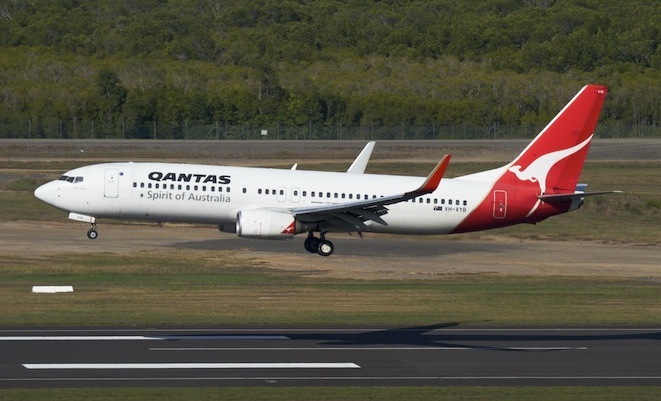 Qantas this week adds its 68th 737-800 as part of the airline’s fleet renewal and simplification strategy that has seen 123 new aircraft added to the fleet in just over four years. The new aircraft brings the airline’s fleet strength to 314. The average age of Qantas aircraft is now 7.9 years. The latest 737-800 is configured with 12 business class and 156 economy class seats offering on-demand inflight entertainment in both cabins with more than 300 entertainment options that can be used ‘gate to gate’. All seats feature PC and USB ports to charge laptops. Qantas Domestic CEO Lyell Strambi said the airline’s fleet renewal plan is a strategic priority in the domestic market and fundamental to customer satisfaction. Qantas will take delivery of seven additional Boeing 737-800s between now and the end of 2014, coinciding with the reconfiguration of the airline’s 10 A330-300s and 20 A330-300s. The new interiors will be introduced from late 2014, with the A330-300s to be operated primarily on services between Australia and Asia and the A330-200s on routes between the east coast and Perth, enabling the retirement of the 767 fleet.